So much yarn, so little time. : Let's meet...KnockKnocking! I met Agnes of KnockKnocking.etsy.com just recently on Etsy forums, and was blown away by her wonderful wreaths. I can quite honestly say I've never seen anything like them. So - let's find out what sort of person thinks in circles! What has been the most useful lesson you’ve learnt (about Etsy) so far? That there is a wonderful, supportive community on Etsy. No, I think so far so good! I see it growing with more items and possibly different shapes, colors and themes... I think it will change with me, and as I find new or different inspirations. I was just listening to some beautiful country songs. Taking time to reply to kind souls who want to feature me on their blogs! Wow! These really are cool. I have never seen anything like them either. Very talented. Holy moly those are amazing! I have never seen those before either.. I love it when people use their own imaginations on traditional ideas. 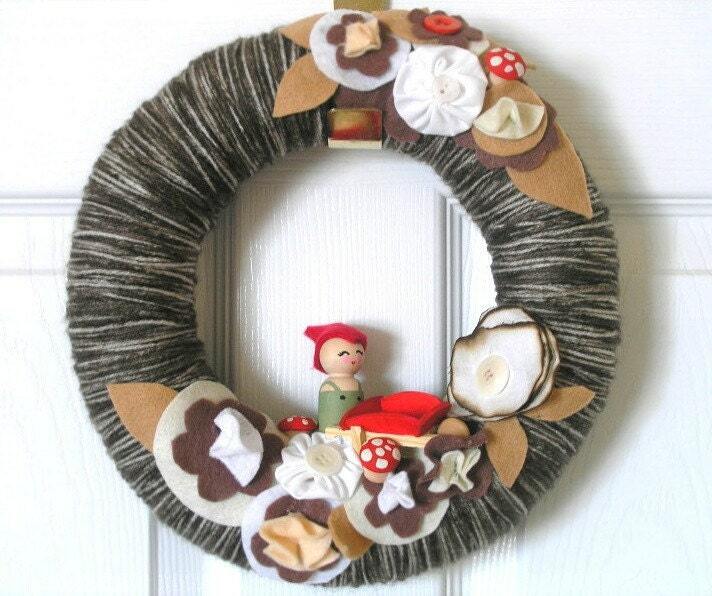 Oh my goodness, those are some of the coolest and most unique looking wreaths I've ever seen! KnockKnocking, I wish you much success! 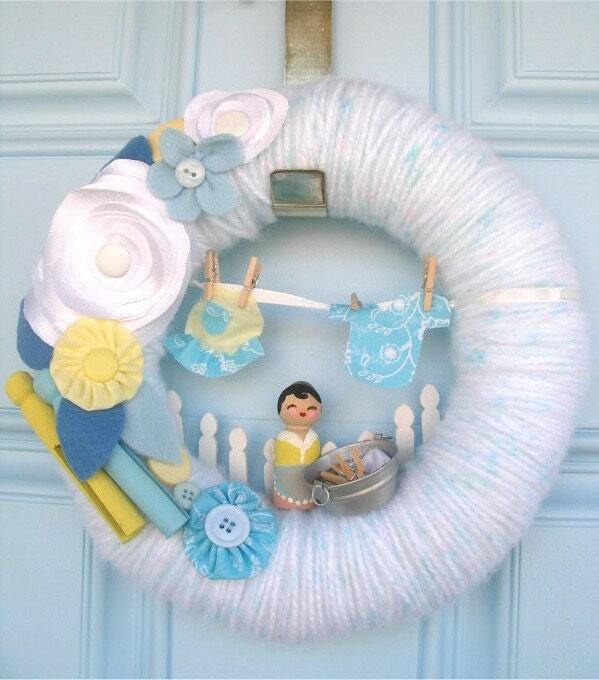 These wreaths are so creative! Thank you so much for featuring this artist! A treat to view on Sunday morning. Wow those wreaths are so fun and creative! 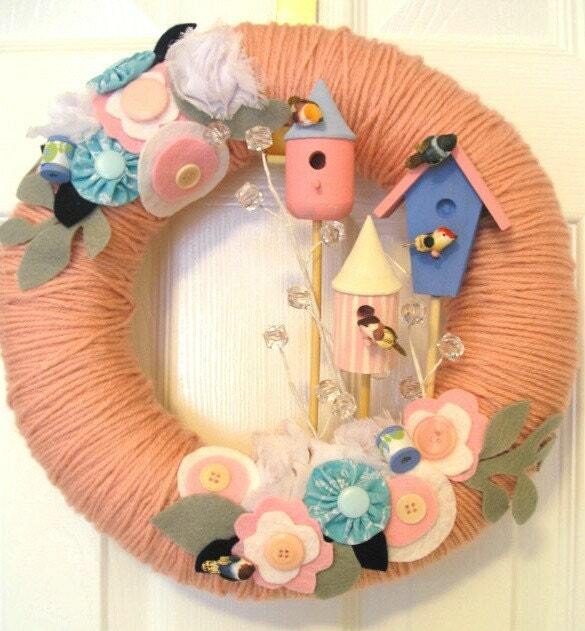 I'm always amazed at how creative people are; these wreaths are so unique and fun. P.S. I think your garden is very sweet - it looks like a lovely oasis. 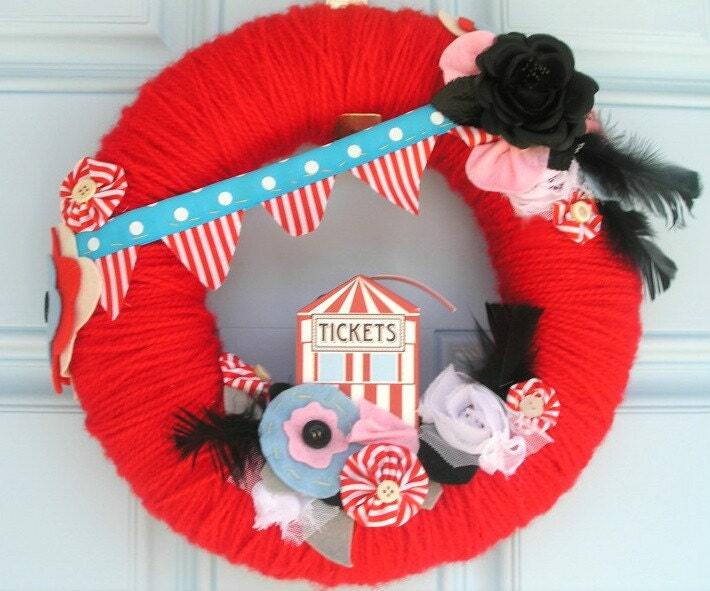 I love the Big Top Wreath! Very fun! these are fabulous!!! thanks so much for sharing her creativity with all of us! !